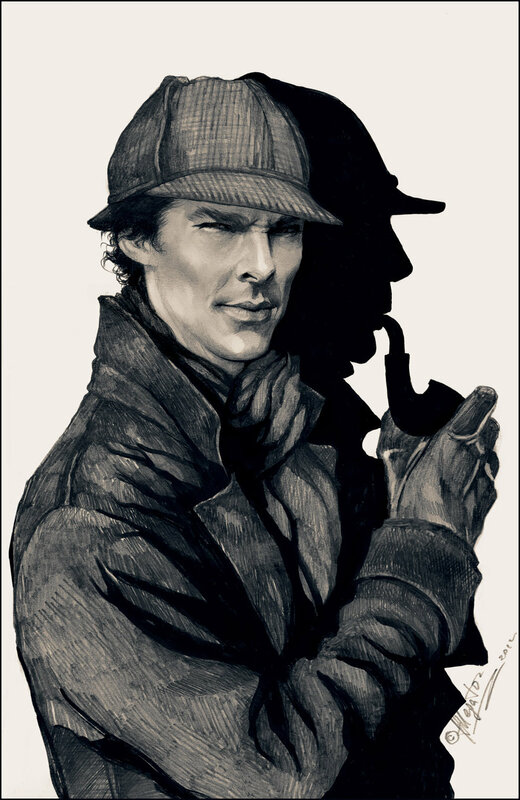 To celebrate the brilliant Sherlock Holmes adaptation by the BBC and DR Who team Phoenix Ark Press publish an excerpt from the series HORRID HEROES AND CRAZY CROOKS, about the great detective himself, by David Clement-Davies. Did ghastly things and got away! Had been committed – by his Mother! As Sherlock got his wires crossed. Who only danced in two-tone shoes. His boss in, for a pound of tongue. And quite outrageous high-heeled shoes. The dainty Prof began to cry. But Chief Commissioner – of The Met! Possessed a most unfortunate name. A greedy glance at those suspenders. The scandal to The Sunday Sport. That stubbly chin, those thick set ankles. Exposing underneath – the Prof. Yet then she fell in love as well. Those spikey heels and gorgeous clothes. The way Holmes played that violin! Horrid Heroes and Crazy Crooks is under Copyright to Phoenix Ark Press 2014, All Rights Reserved. The image is http://investigazioni24.wordpress.com and please contact the blog if you would like it removed.